Baltimore, MD â€“ NAACP Interim President and CEO Lorraine C. Miller has accepted the resignation of Los Angeles NAACP President Leon Jenkins. The national office of the NAACP is developing guidelines for its branches to help them in their award selection process. CHICAGO, ILâ€“ A politically-connected construction giant used half a dozen of the biggest recent public works projects in Chicago as part of a multi-year scam to siphon off government money intended for the Cityâ€™s women and minority-owned businesses, a 2008 whistleblower suit unsealed today showed. 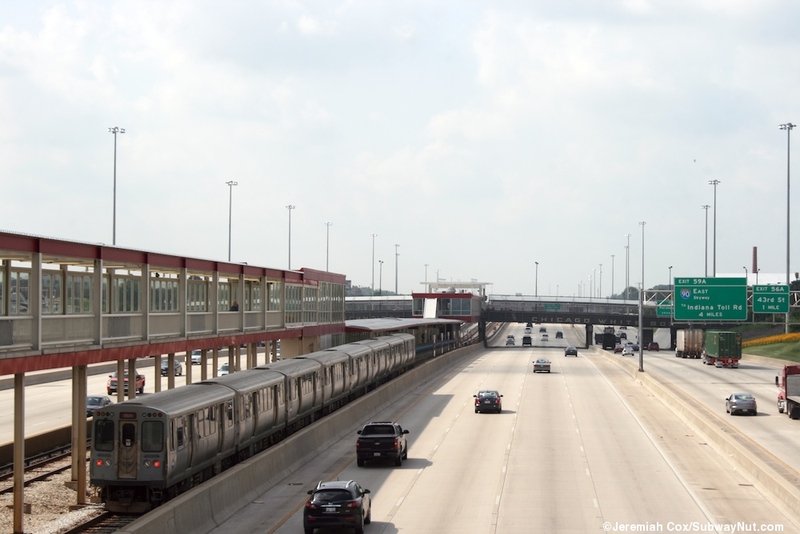 With promises to help local women and minority-owned businesses, Chicagoâ€™s McHugh Construction landed major contracts like the new North Avenue Bridge, the Chicago Transit Authorityâ€™s Red Line and Brown Line expansion projects, and new viaducts for the Kennedy and Dan Ryan Expressways. Funded with over $150 million in federal and state grants, the contracts were supposed to provide big opportunities for women and minority-owned business to get a foot in the door of the clout-driven world of major public construction.Â But the money never made it to the intended businesses. According to the whistleblower suit unsealed today by the Chicago federal district court, McHugh used two sham companies â€“ ASI, Inc. and Perdel Contracting â€“ to divert almost $40 million in funds that it had agreed to earmark for minority and women owned-firms. The United States Attorney and Illinois Attorney General today announced that McHugh will pay $12 million to settle the whistleblower case. These prosecutors used federal and state False Claims Acts to take down the politically-connected contractor.Â The whistleblower, Ryan Keiser, and his lawyers, Loevy & Loevy Attorneys at Law, had also sought to recover treble damages for the City of Chicago under its false claims act ordinance. Keiser came forward after McHugh managers insisted that he create false paperwork to cover-up the sham.Â â€œWhat angered me the most was that McHughâ€™s managers were so matter-of-fact about cheating the WBE and DBE programs,â€ he said. Keiser explained that the cheating was visible to anyone who wanted to put a stop to it. Keiser turned to Loevy & Loevy, a law firm representing plaintiffs in whistleblower and civil rights cases nationwide, to help him bring McHugh to justice.Â Attorney Mike Kanovitz guided him through the whistleblower process for six years, culminating in todayâ€™s $12 million settlement. Keiser and Kanovitz will continue a second portion of the suit that alleges McHugh forced Keiser out of his job after he refused to go along with the fraud.Â â€œWhistleblowers should be honored for the serious contribution they make to our society.Â Instead, Ryan was black-balled from a line of work that he loves. Thatâ€™s not right, and we wonâ€™t stand for it,â€ Kanovitz said. WASHINGTON, DC â€“ U.S. Senators Mark Kirk (R-Ill.) and Marco Rubio (R-Fla.) today called on Secretary of State John Kerry to publicly state that there will be an immediate cut-off of relevant U.S. assistance to the Palestinian Authority should the unity government it is pursuing fail to comply with the detailed requirements set forth by the Palestinian Anti-Terrorism Act of 2006. In a letter to Kerry, Senators Kirk and Rubio highlighted the counter-productive steps being taken by the Palestinian Authority after the Palestine Liberation Organization (PLO) and Fatah announced plans to pursue a unity government with Hamas, a terrorist organization that has a stated goal of wiping Israel from the map. â€œAs you know, the Palestinian Anti-Terrorism Act of 2006 sets detailed requirements for the continuation of U.S. assistance should Hamas be brought into the Palestinian Authority government. The law is very clear. If Hamas comes to have a role in governance, there must be public acknowledgment of the Jewish state of Israelâ€™s right to exist as well as acceptance of all previous agreements the Palestinians have made with Israel, the United States, and the international community,â€ the senators wrote. â€œThe law also requires that demonstrable progress be made toward dismantling of Hamasâ€™ terrorist infrastructure and purging of individuals with ties to terrorism. Moreover, Hamas would need to halt its anti-American and anti-Israel incitement. The bar is high because the stakes are high and we must make sure to stand firmly by what we have said. Failing to do so will diminish the credibility of the United States. â€œUnfortunately, we have already seen reports that influential voices within Hamas say a unity deal would not compel Hamas to recognize Israelâ€™s right to exist,â€ they added. â€œIt seems clear, therefore, that the current plans for the Palestinian Authority continue to disregard the assurances needed to support Israelâ€™s security and move the Palestinian people further away from the day when they can live in peace. Nationwide (BlackNews.com) â€“ African Americans, from celebrities to politicians and civil rights activists, were recently voted onto a list of the top 100 Americans of all time. More than 1,000 people from across the country were asked to vote on a list of the greatest Americans. Civil rights leader Martin Luther King, Jr. came in at number five. Rosa Parks, the â€œmother of the freedom movementâ€ was voted in 10th place, followed by former TV talk show host and media mogul Oprah Winfrey at number 24 and comedian Bill Cosby at number 29. But by far, the most votes went to ex-presidents. Abraham Lincoln tops the list at number one, followed by Thomas Jefferson and John F. Kennedy. Number four is Neil Armstrong, the first man to walk on the moon. Former presidents Dwight D. Eisenhower and Harry Truman were voted in at number 16 and 19. President Obama is number 32, just two behind former president Bill Clinton. Of course, Lincoln is no stranger to the popular crowd. He has long been considered one of the countryâ€™s greatest leaders, the 16th American president who led the country through the Civil War and issued the Emancipation Proclamation, paving the way for the abolition of slavery. His Gettysburg Address and second inaugural address are among the most noted speeches of all time. It also canâ€™t hurt that his life was the subject of a critically acclaimed epic historical movie of the same name just two years ago. But what classifies as a great American to one person may not be great to another. Thatâ€™s why the list of the top 100 runs the gamut – from the influential, to the powerful, inspirational, iconic and entertaining. Other African Americans on the list include basketball star Michael Jordan, actor Morgan Freeman, the late Michael Jackson, actor Will Smith, the late Nat King Cole, singer Stevie Wonder, the late Whitney Houston, actor Samuel L. Jackson, professional golfer Tiger Woods, actress Halle Berry, the late Billie Holiday, singers Janet Jackson, Mariah Carey, Beyonce and Alicia Keys. Also included is first president George Washington, the late Apple co-founder Steve Jobs, Microsoft founder Bill Gates, Steel magnate Andrew Carnegie and animation pioneer Walt Disney. Thomas Edison, inventor of the light bulb, came in sixth, while Henry Ford, founder of the Ford Motor Company, came in 12th. Singer Elvis Presley was the highest-ranking celebrity, making it into number 22, a whole ten places ahead of Obama. Several first ladies are also among the list, including Eleanor Roosevelt, a politician in her own right, Kennedyâ€™s wife Jacqueline Kennedy Onassis and Hillary Clinton, who went on to become a senator and Secretary of State. TV stars include Ellen DeGeneres and Jennifer Aniston. Also listed are Hollywood greats such as Marilyn Monroe, Steven Spielberg, Katherine Hepburn and Tom Hanks. Other singers include Frank Sinatra, Dolly Parton, Katy Perry, Lady Gaga and Britney Spears. OnePoll is a global online market research organization that regularly provides statistics and data for everyone from large corporations to small and medium sized enterprises. They specialize in providing newsworthy data regarding interesting trends and topics to media outlets around the world. CHICAGO, IL â€“ Illinois so far this year confiscated $26.3 million in federal tax refunds from individuals who knowingly collected unemployment insurance while working, the Illinois Department of Employment Security said today. The three-year-old program has recovered $120.57 million through tax garnishments and convincing individuals to enter into repayment plans to pay off their debt. Individuals who owe IDES money because of fraud will not receive future benefits until that debt is paid. In the past three years, IDES confiscated federal tax refunds 58,376 times. If a refund is not enough to repay the debt, and the individual continues to refuse a repayment plan, IDES will garnish future refunds until the debt is paid. Data shows that this process is changing behavior. In 2012, the first year of the federal tax garnishment, 922 people entered into repayment plans. This year, 3,495 have agreed to a repayment plan. Protecting the integrity of the Trust Fund is paramount. Money that pays for unemployment insurance benefits comes from a business payroll tax. The Trust Fundâ€™s balance is among the factors considered when determining the payroll tax amount. The lower the Fund balance, the higher the payroll tax. Bi-partisan reforms enacted in 2011 enabled IDES to use this garnishment tool. IDES integrity programs are catching waste, fraud and abuse more quickly than ever before. In many cases, the fraud is identified before a single benefit payment can be made. When that does not occur, Illinois garnishes tax refunds. It also will confiscate lottery winnings from individuals who wrongfully collected unemployment. Employers play a critical role in fighting unemployment fraud. IDES contacts employers when an unemployment application is received so the employer can accept or challenge the claim. CHICAGO, IL â€” Chicagoâ€™s new bike-sharing system is poised to see even greater success thanks to a $12.5 million sponsorship arrangement with Blue Cross and Blue Shield of Illinois. By the end of this year, Divvy plans to increase the number of docking stations in the city from 300 to 475. Chicago will then have the highest number of bike share stations in the nation. The sponsorship deal will last over a five year period. The city plans to use the $2.5 million in annual funds from the partnership to expand the Divvy system and enhance bicycling in Chicago. The funds will be used for securing equipment to sweep and plow bike lanes; more bike lane materials like bollards, signage and striping; and more bike ambassadors on the streets to educate people about bike safety. Less than one year after its launch, Divvyâ€™s success has exceeded most peopleâ€™s expectations. Last week, Divvy announced that the bikes have been taken on one million trips totaling 2.5 million miles. Active Trans has been an ardent supporter of launching and expanding bike sharing in Chicago. Currently, Active Trans members receive a $10 discount on annual Divvy memberships. The Active Transportation Alliance is a non-profit, member-based advocacy organization that works to make bicycling, walking and public transit so safe, convenient and fun that we will achieve a significant shift from environmentally harmful, sedentary travel to clean, active travel. The organization builds a movement around active transportation, encourages physical activity, increases safety and builds a world-class transportation network. Formerly the Chicagoland Bicycle Federation, the Active Transportation Alliance is supported by more than 7,000 members, 1,000 volunteers and 35 full-time staff. Inkster, MI (BlackNews.com) — Twin brothers, Antoine and Santoine Jackson have launched a new website that comprehensively outlines the business of music and entertainment. The site, a virtual university, is a curriculum-centered portal through which students gain applicable knowledge on navigating effectively through the entertainment industry. TheCollegeofHipHop.org teaches knowledge seekers the fundamentals of the entertainment business through a series of technology-based seminars, blogs and info sessions centered around a core program. The program has been designed specifically for artists, entrepreneurs and industry professionals interested in gaining access to insider information. Fundamentals of the entertainment business are taught online for a donation of $19.99 for the entire year. Once enrolled, students will have 24-hour access to information pertaining to publishing, copyright protection, encoding, vocal training, choreography, etc. New, compelling lessons are uploaded each month that offer students an across-the-board analysis of each subject matter. By accessing the web site at www.thecollegeofhiphop.org, future and potential students will open themselves up to a world of knowledge they can receive in an easy to follow format that will walk them through the music business, step-by-step. The college bills itself as a premier online learning institution that uses dynamic, thought provoking lessons to deliver valuable information to aspiring entertainers and industry entrepreneurs. Antoine and Santoine Jackson are identical twins whose lives were heavily influenced by music. The idea of opening an online university took shape while the two were students at the University of Phoenixâ€™s Business and IT programs respectively. The College has been accepting students since April 2013.
â€œSolis has sold our communities out for too long,â€ says community activist Jorge MÃºjica in announcing independent campaign as socialist candidate in challenge to corporate darling incumbent. CHICAGO, IL – One of Chicagoâ€™s most well-known and respected community activists is challenging one of Chicagoâ€™s most politically connected and unaccountable aldermen for a seat on the City Council. The race pits Jorge MÃºjica — an award-winning journalist and long-standing activist for labor and immigrant rights — against one of the cityâ€™s most powerful aldermen, the 25th Wardâ€™s Danny Solis, who has drawn the ire of local residents for supporting school privatization, corporate pinstripe patronage and developer deals that are driving up rents and displacement in the heavily immigrant and working class ward. MÃºjica, who is fluent in both English and Spanish, was one of three core conveners of Chicagoâ€™s historic immigrant rights marches in 2006, which put an estimated 1 million people on the streets to call for humane, fair immigration reform. He ran for the US Congress in 2009, representing the immigration movement in the electoral arena as a counterweight to the 3th District incumbentâ€™s refusal to take a firm line on basic human rights for immigrants, including those without documents. MÃºjica emigrated to the United States from Mexico in 1987, working first as a journalist in Chicago at several Spanish language newspapers and at both Univisionâ€™s and Telemundoâ€™s local Spanish-language TV outlets, winning two first place awards from the National Association of Hispanic Publishers for his work. In the last 15 years, heâ€™s also worked extensively with labor unions in election campaigns, organizing efforts, pickets and strikes, and also belongs to a number of community organizations that address immigrant rights issues that range from remittances to the right to vote from abroad. He currently works as lead strategic campaigns organizer for Arise Chicago, a non-profit organization tackling systemic poverty and the needs of low-wage workers with the support of a broad coalition of faith-based and labor groups. MÃºjica is also running this time not as an independent Democrat, but as an openly socialist candidate. And his campaign has won support from perhaps the nationâ€™s most prominent independent socialist elected official, Kshama Sawant, who recently won a seat on Seattleâ€™s city council as a socialist in a campaign that drew national attention — and support. MÃºjicaâ€™s campaign has launched a website that he and his supporters are fleshing out with information on core issues and his legislative agenda — which includes support for a $15-an-hour minimum wage in Chicago, opposition to public school privatization and neighborhood school closures, legislative steps to end wage theft for low and middle-income workers, and a policy of refusing to support development that drives displacement and undercuts affordable housing for the residents of the wardâ€™s neighborhoods, which include Pilsen and parts of Chinatown, University Village, Little Italy, Tri-Taylor and the near west side. MÃºjicaâ€™s campaign will accept no funding from corporations, developers, or Chicagoâ€™s political machine bosses. Local residents have been working for months to pull together a coalition of community activists and grassroots projects willing to support a truly independent, openly Socialist candidate free of the shackles of a Democratic Party elite that routinely prioritizes profits for their politically connected donors over the daily needs of ordinary people. Campaign supporters include education activists, immigrant rights activists, housing rights activists and local residents fed up with the incumbentâ€™s dismissive approach to local community membersâ€™ wishes — from the struggle to preserve Whittier Schoolâ€™s beloved La Casita Field House to local calls for more accountability from real estate developers.